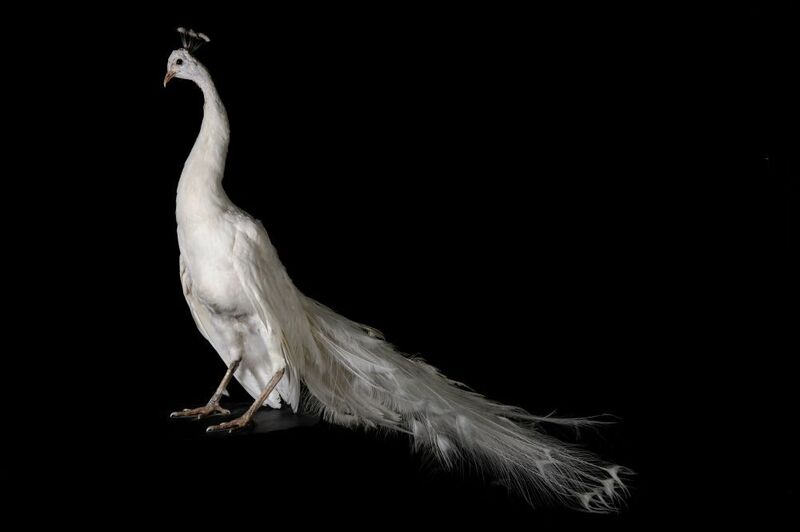 The white peacock is part of the Phasianidae family, classified in Afropavo Pavo and genres and it is a cousin of the guinea fowl and pheasants. Originally, the white peafowl lives in Sri Lanka and India. However, its beauty attracts many visitors in zoos elsewhere. 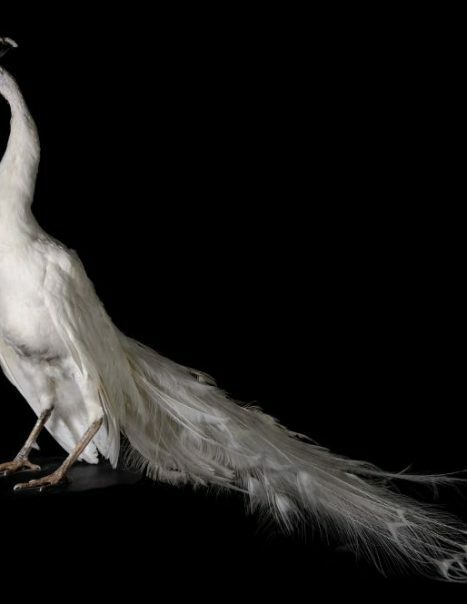 The white peafowl is achieved through a mutation alba blue peacock. The white peafowl is white throughout its plumage. Its legs and eyes are colored. This color represents the concentration of melanin in the feathers. This is not an albino but a leucistic. The male has a long white train. On its head is a crown crest. The female is between 90 to 100 cm, while the length of the male is estimated at 180 and 230 cm. For the tail, it represents 40 to 45% of its body. It contains between 140 to 170 eyespots reminiscent of the eyes. Female weighing less than 4 kg. The male weighs 4 to 6 kg. A white peafowl feeds mainly on insects, small snakes, lizards and other small mammals. It also appreciates the seeds, fruits, grains, berries. The peafowl has a territory, unmarked, which serves as a place of residence. It also has its place of parade of choice and staff dormitory. During courtship, the male fan opens its long tail to show its eyespots. The female is not seduced by the number of eyespots or the size of the wheel. However, it is not attracted by males presenting less than 140 small eyes. It runs to the one that has attracted and moves into position for mating. It has a nest on the ground in the shade. It usually lays 6 eggs. They are incubated for about a month. The mother feeds its young the first days of their birth. And for lovers of stuffed birds, browse our pages dedicated to the scarlet ibis and the red-and-green macaw.